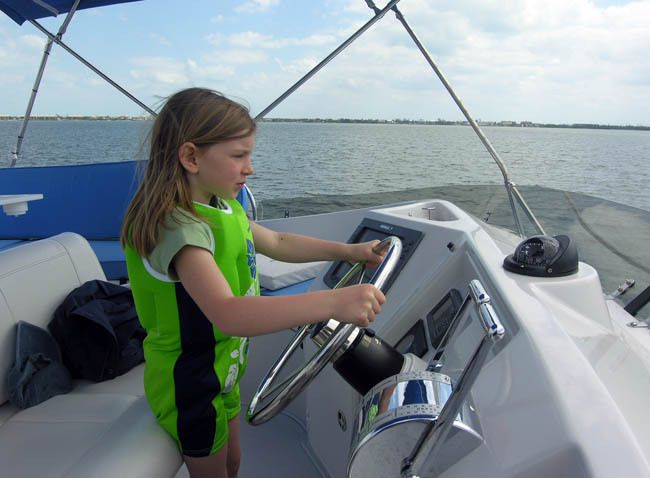 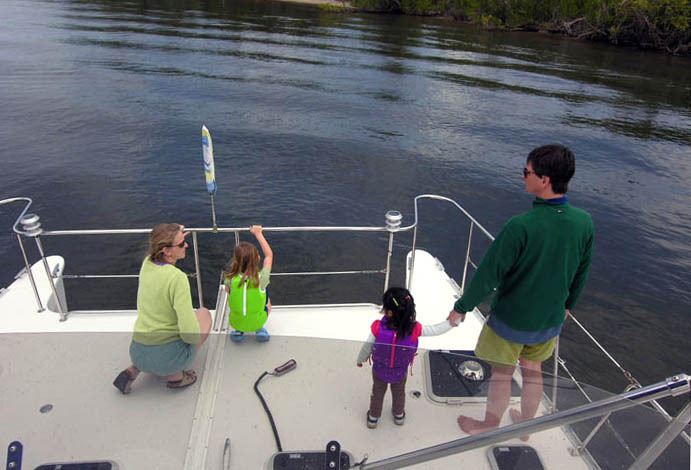 My daughter, Meg, her daughters Eva (6) and Rose (3) and husband, Paul Nakroshis on the bow of Sno' Dog. 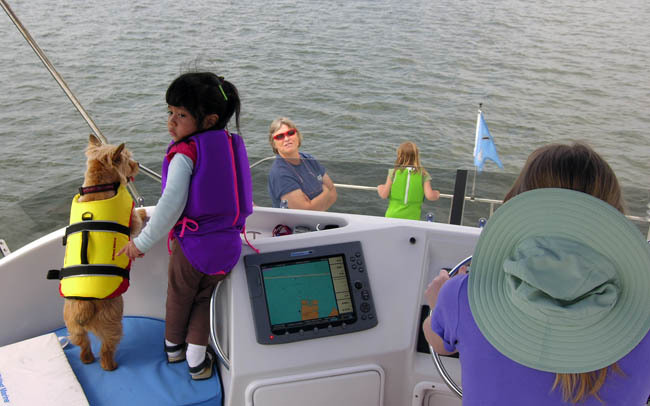 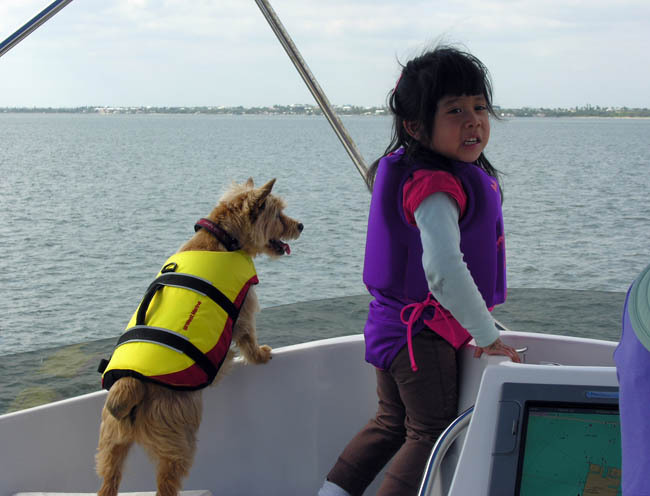 Madison and Rose keeping watch - and (right) Meg at the helm, Nancy and Eva on the bow. 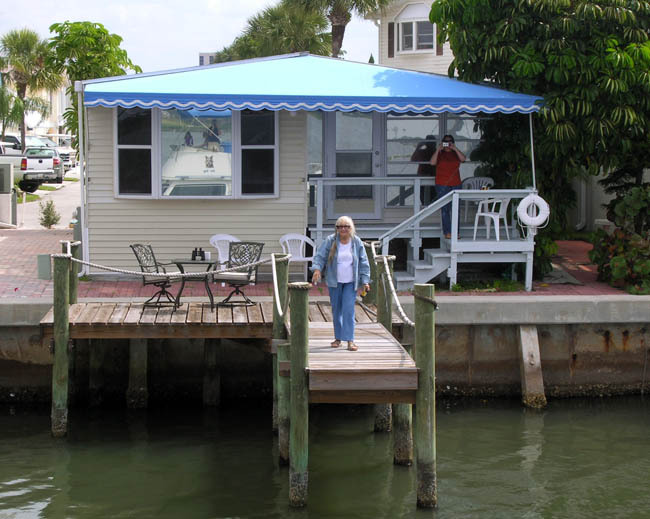 in front of Granny Margaret's house. 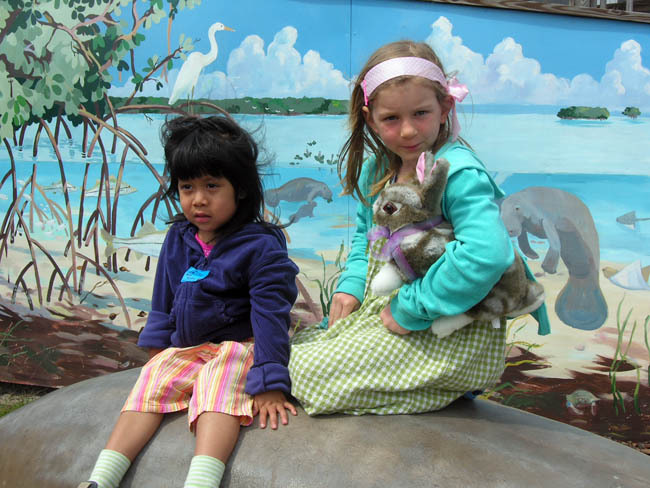 Rose and Eva pose on a (fiberglass) manatee's back at the Oceanographic Inst. 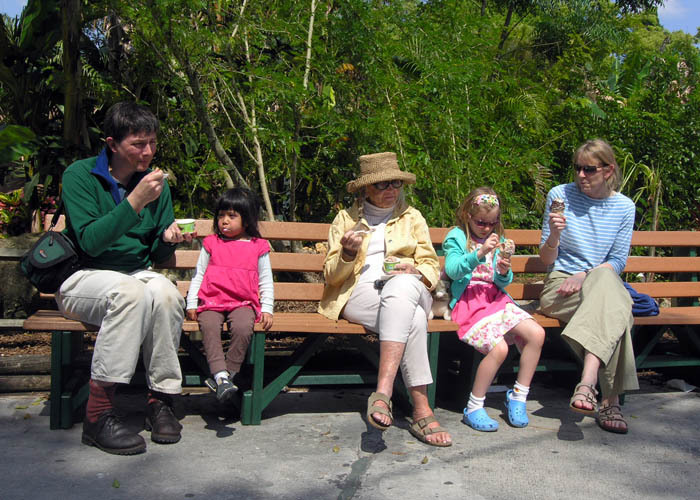 Paul Nakroshis, Rose, Granny Margaret (89), Eva and Meg eating ice cream at Lion Country Safari. 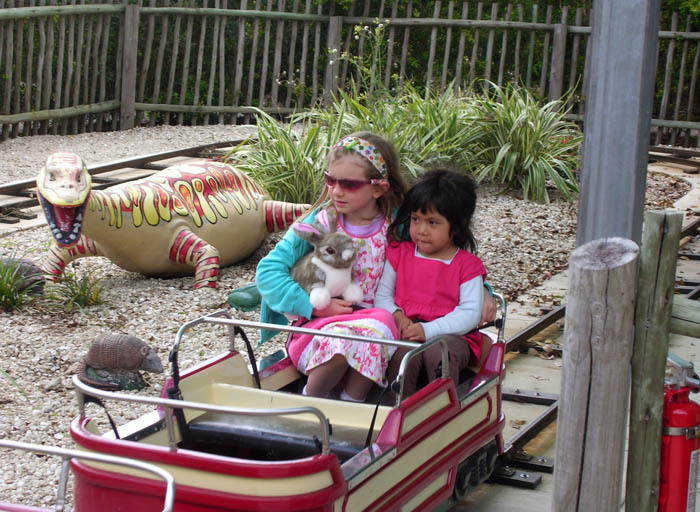 Eva and Rose riding the train past dangerous animals! 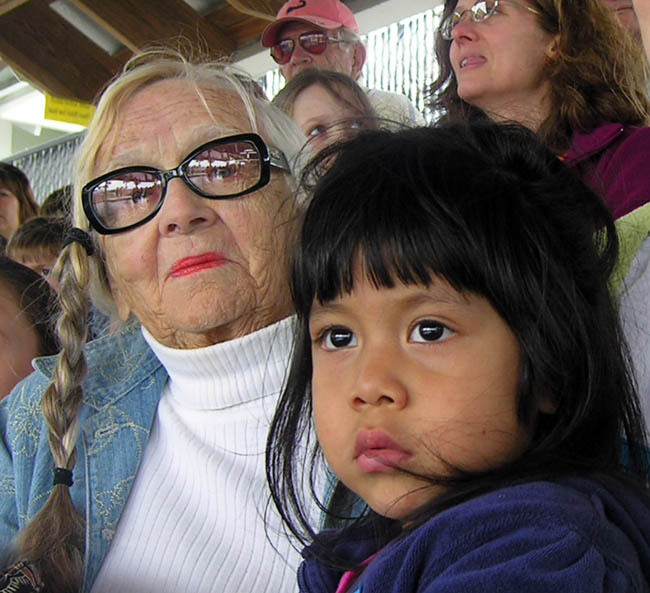 Granny Margaret (my mother) with her great grandaughter, Rose - who was adopted by daughter Meg - from Guatemala!